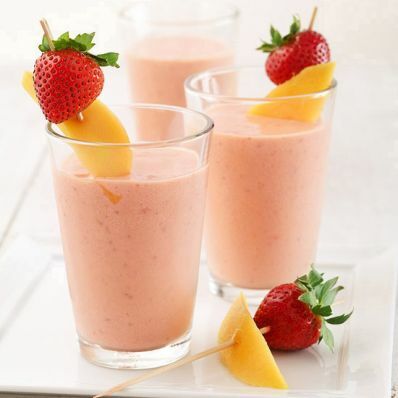 1 of 1 In a blender, combine the orange juice, tofu, cut-up mango and strawberries. Cover and blend until smooth. If desired, for garnish, thread additional mango chunks, strawberries, and orange sections on small skewers. Add a skewer to each serving. Serve immediately.